We recommend you have your finger sized at any jewelry store, ask for a wide band ring fitting. Most stylist are seeking shear protection for their pointer finger, and some stylists prefer protecting their middle finger from shear cuts. Once you are certain of your ring size for ordering, select your size from the pull-down menu on the Shop page. We try to carry the widest selection of full and half ring sizes to properly fit most pointer fingers. You can pay for your order using your American Express, Visa, MasterCard or Discover Card. At the present time, we are unable to accept payment using a credit card with a billing address outside of the United States & Canada. Please be sure to provide your exact billing address (the address your credit card provider has on file for the card you use) when completing your order. Incorrect information may cause a processing delay. We do not store or share your credit card information with any third parties. 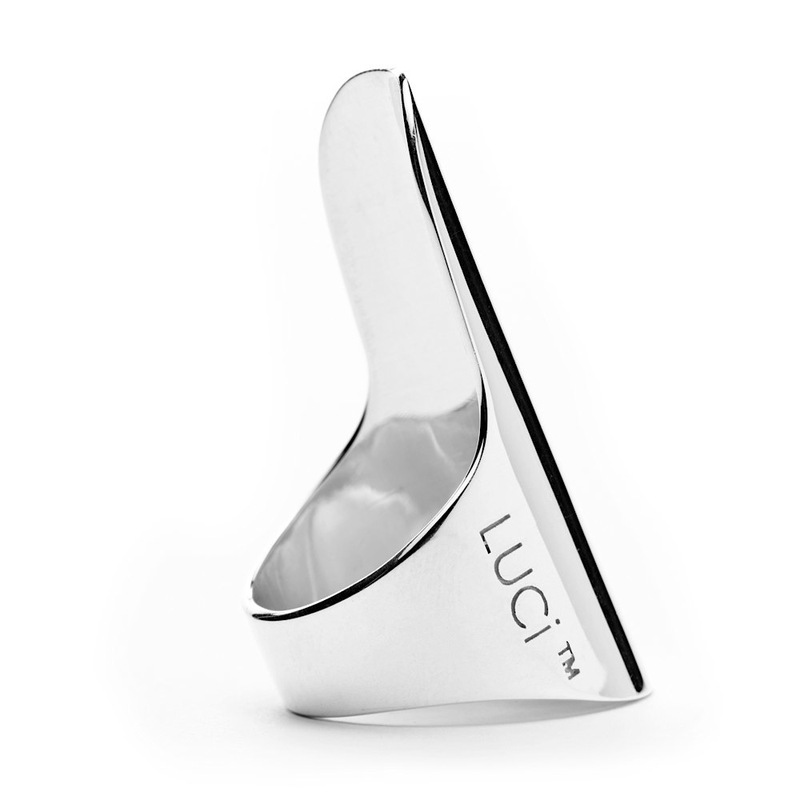 Our LUCi Ring Customer Care Department is always happy to answer your questions. You may contact us at through our contact form or you can call 1.844.686.5824, Monday – Friday 8:00 am to 6:00 pm Central Standard Time.